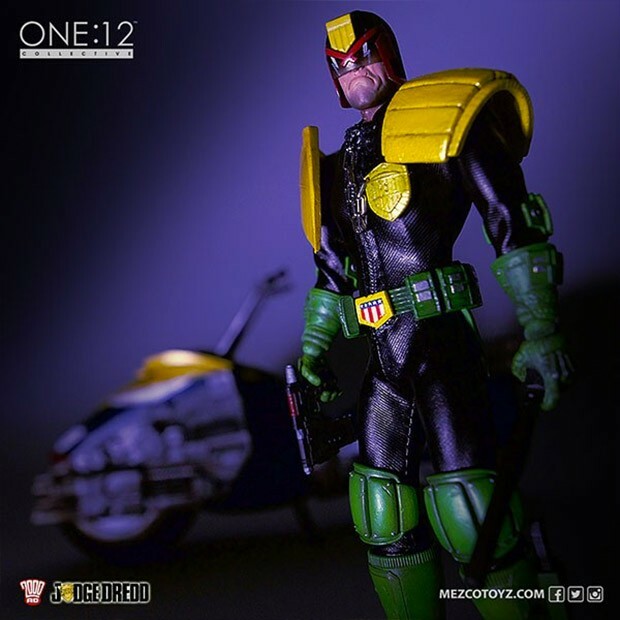 Fans of Judge Dredd, here’s a new plaything to add to your Mega-City One collection. 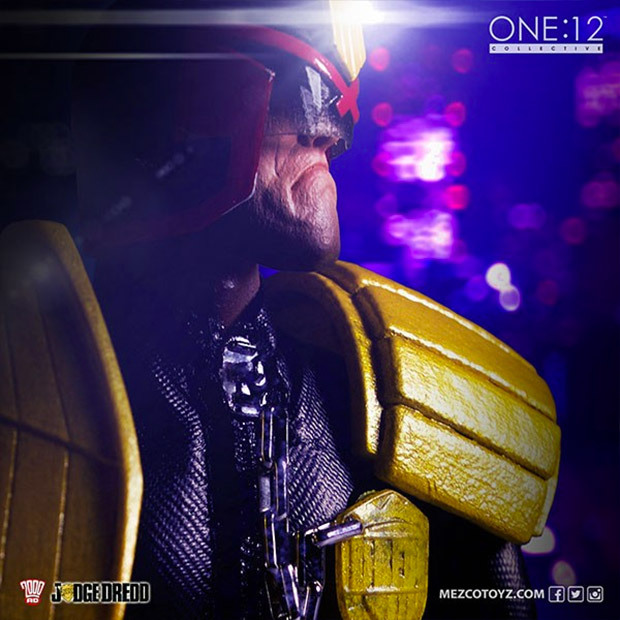 This awesome looking action figure comes from Mezco Toyz and One:12 Collective. 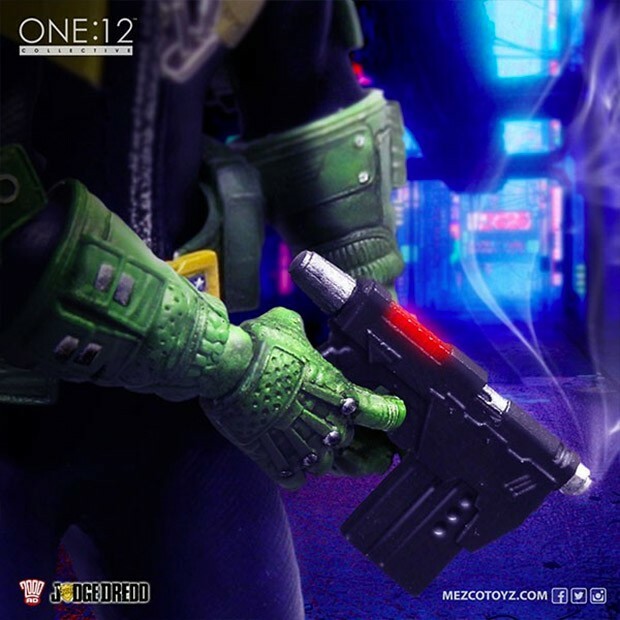 It was designed in close collaboration with Rebellion and Dredd comic artist Ben Willsher to ensure it looks as accurate to the current comic book Dredd as possible. The figure includes a variety of accessories, including his lawgiver pistol, handcuffs, a knife, and a number of hands in different positions. 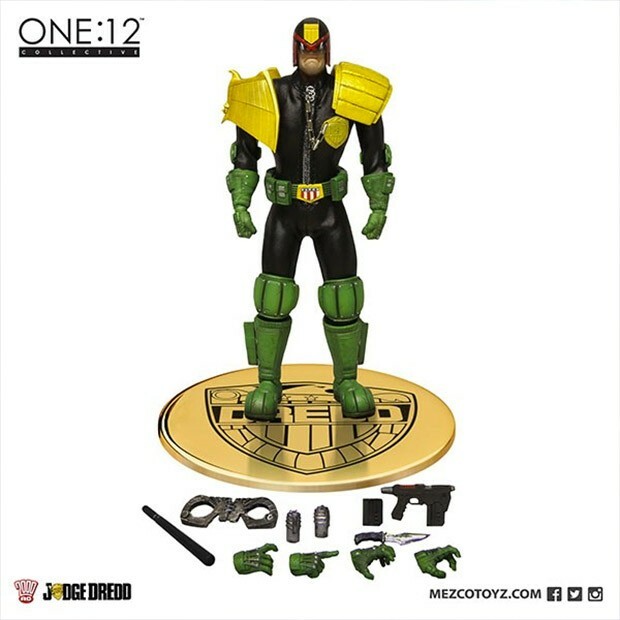 Naturally, it comes with Dredd’s iconic helmet, and the judge has a scowl you couldn’t wipe off his face if you tried. 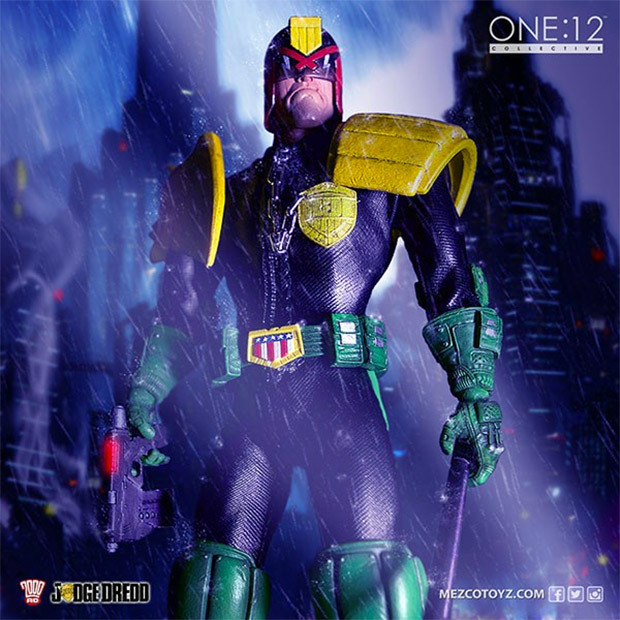 You can pre-order the Dredd action figure now over at Mezco for $65(USD).